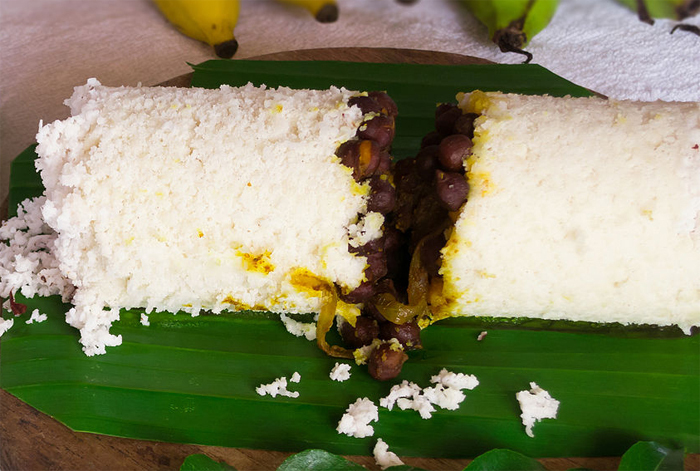 Puttu aka “rice steamed cake” is one of Kerala’s traditional breakfast item. Kerala Puttu is usually served with Banana, pappadam or Kadala curry. Puttu is one of the favorite breakfast in Kerala which is also very easy to make. Now a days you can even buy ready to use puttu powder (flour) in all the stores. There are many variants of puttu like Chiratta puttu, Kappa puttu, Rava puttu etc… Here is the recipe for making the common puttu. Soak rice for about 2 hours (You can skip directly to step 4 if you are starting with rice flour). Serve hot with Ground nut (Kadala Curry), Green gram curry (Cheru payar), Cowpea ( Vanpayar ) curry or Mutta ( Egg ) Curry. Fill the rice and coconut as loose layers. Serve hot/warm with banana or curry of your choice or with pappadam. If you add some ghee it will yields soft puttu. Have you seen other kerala recipes? This entry was added on March 6th, 2013 by Renoos in Vegan and tagged with rice flour, puttu, kerala breakfast, how to make puttu, easy puttu recipe, puttu recipe, breakfast. Last revised on April 4th, 2018. Recipe & photo contributed by Salman Ayoob. We are back and hungry as ever – made this wonderful puttu (steaming steaming hot) with chettinad chicken – simpllllllllllllly lip smacking good. Thanks a tonne! K D (borrowed the puttu maker from chechi, our neighbor) thanks to chechi as well. I think godhambu (wheat)puttu also good. Dis is nice and very easy recipe for an amateur like me. I just have a few questions, do I need to dry the wet rice completely before grinding?? And do I need to heat the coarse rice powder on high heat??? @snya: It is not mandatory to make it completely dry before grinding. But, at home we practice drying the rice completely before grinding. Also, If you are planning to use the powder for very next day, you don’t need to roast it in high heat. You can just warm it and use it. 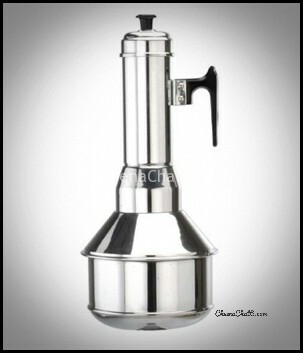 But if you are planning to keep the powder for long time, it is better to roast it and keep it.